O'Rourke had played with Celtic, Burnley, Lincoln City, Third Lanark and Chesterfield before finishing his playing career with Bradford City. There, he became player/manager in 1905, and soon after retired as a player. He went on to lead the Valley Parade club to the Division Two title in 1908 and FA Cup glory in 1911, beating Newcastle United in the final. 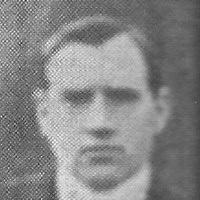 After 16 years with Bradford, O'Rourke retired due to ill health after being seriously effected by the sudden death of his son, but came back into the game with Welsh side Pontypridd in 1922. In December 1922, Dundee Hibs - then playing Non-League football after being relegated from the Scottish League, pulled of what looked to be a fantastic move by appointing O'Rourke as manager. However, after just 16 games O'Rourke resigned due to lack of financial support. During his time at the Club, O'Rourke signed his two sons, Michael and Peter Jnr, and both players departed along with their father.